Your windshield (not to mention all of the other glass) is seriously important to the look – and the safety – of your car. Whether you are looking for an auto glass replacement, upgrade, need to repair a spider web of fine fissures or want to say goodbye to a massive crack, we’ve compiled this informative article about everything you need to know about auto glass repair and replacement. When it comes to the health and safety of your family, passengers and children, ensuring that your auto glass is in good condition is of vital importance. Don’t skimp out on this key safety feature! The glass on your vehicle has important safety features to ensure you are as protected as possible in the case of an accident – that said, when this glass is damaged there is an alarming risk of danger to both driver and passenger safety. Don’t risk this preventable danger – even a small chip or a minor crack in your windshield can be cause for concern and should not be ignored, as automotive glass has been especially designed to keep you safe, secure and comfortable. 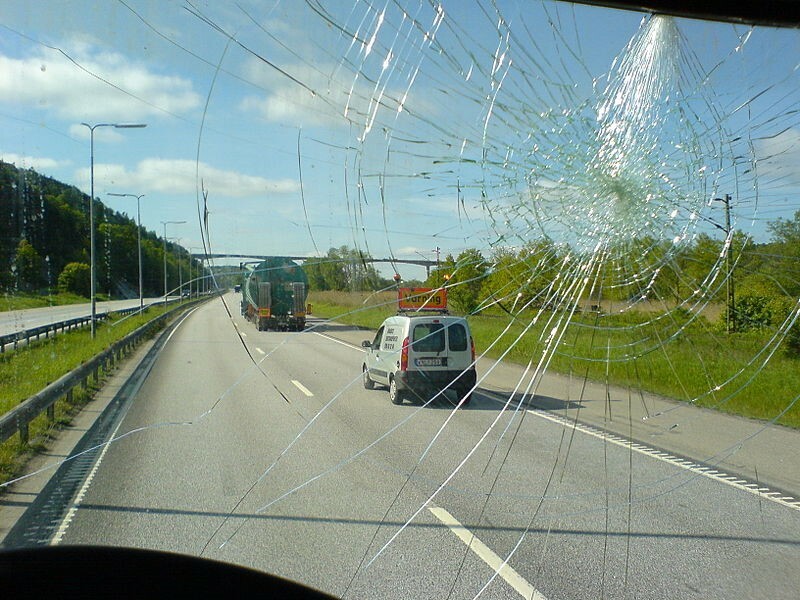 A cracked or damaged windshield can severely impact your visibility and safety on the road. 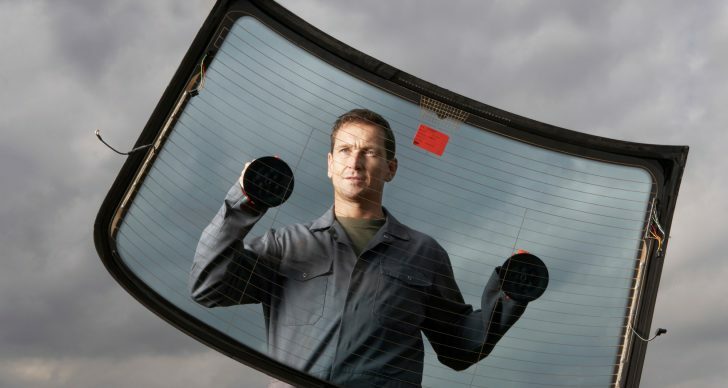 Most automotive manufacturers use laminated glass for their windshields. Laminated glass is made up of two glass sheets with a thin, strong plastic or vinyl resin layer that is secured in between. These layers undergo intense pressure and heat to bond and create a superior grade of tough auto glass, meant to withstand collision (to a point). The reason for laminated glass? It’s ultra strong, and it will help to absorb some of the energy of an impact and reduce the risk of objects piercing or breaking through the glass if an accident occurs. It is designed so that if something does cause the glass to shatter, the strong plastic layer should hold the pieces together, and is therefore still protective. Laminated glass is more likely to remain in its frame in an impact situation, and cause far less injury and disaster. As well as being an important safety feature, laminated glass is also an important security feature, it is tough – this means it is much more difficult to break into a car as it takes much longer to break the glass. A smashed windshield in need of replacement. 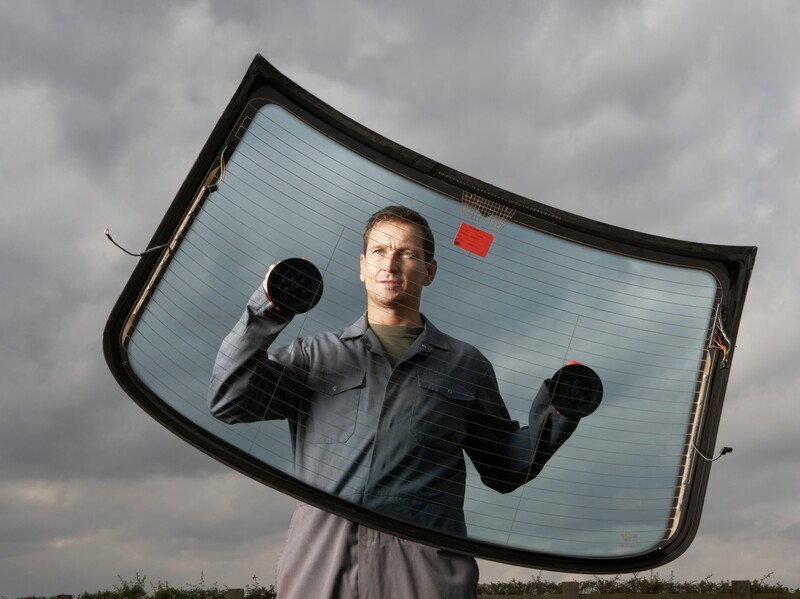 A windshield provides structural support to a car, up to 30% of a vehicle’s strength. The development of stronger and more durable windshields means that the A-frame (the pillars on either side of the windshield that run all the way to the back of the car) has been developed by manufacturers to be thinner and more light weight. If the windshield is damaged and is not securely in its frame, the structure of the car is weak and dangerous in case of an accident. This could cause the roof to collapse, and the glass will be particularly vulnerable if the car turns over. Choose certified auto glass replacement technicians for all your vehicle glass needs. Windshields are an important safety feature when considering the deployment of airbags, as the airbag relies on the support of a strong windshield. Your windshield helps to ensure that a passenger’s upper body is in the correct position when a passenger airbag is activated. A small chip may hardly seem noticeable, but if it is left unattended it can develop into a crack. This can happen even in a low impact situation, such as going over a speed bump in the road, a situation where you have to brake hard, or perhaps even from a small stone hitting the window (which was likely to be the cause of the chip in the first place!). Chips can also increase in size when your car is subject to extreme heat or freezing temperatures. When a crack appears in a windshield, it can be an instigator for the rest of the windshield to crack when the car faces more impact. This can then lead the windshield to shatter, causing a very dangerous situation for anyone in the car at the time. A crack in the windshield can also be very distracting for drivers, as it can also reflect glare and cause issues with vision, reducing your visibility and increasing the risk of accident. 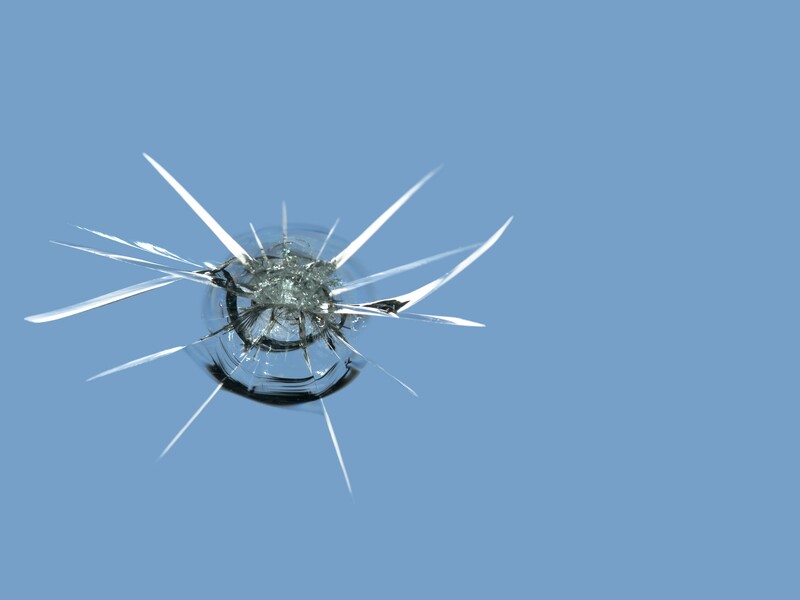 If a vehicle has a crack or chip in the windshield it is difficult to determine how far the damage has penetrated. If the crack or chip goes through to the vinyl resin or plastic layer then the windshield’s safety will be seriously hampered. This means that the windshield will not do its important job of protecting the passengers and driver of the vehicle. When is it time to Repair Auto Glass? It is important that you act quickly when a small chip or crack is spotted on your windshield – you should book an appointment to speak to an auto glass repair and replacement retailer. They will be able to tell you if the windscreen needs repairing or replacing. If you are in the Houston area, call or email the team at Hurricane Auto – we are happy to help you choose the best options for your vehicle and your personal needs. A seemingly small chip can lead to big problems. A thorough clean of the windshield on the inside and outside of the vehicle. Elbow grease is necessary! An auto glass repairer will then inject a resin into the chip or crack. Sometimes, a repairer will use an ultraviolet (UV) light to help the resin to dry. Once the resin is dry, the excess resin will be shaved off. Voila! A repaired windshield – you’re good to go. It is important to mention that a repair alone does not often make the chip or crack disappear. The repair seals the glass in order to make the windshield safe again, but it may leave a blemish or a smear on your glass. A repair will not make the windshield cosmetically perfect, but a repair will stop the chip or crack from expanding and causing further damage to your vehicle. If you catch your windshield damage early, then a repair is often much cheaper and quicker than replacing the entire auto glass. Simple repairs usually take less than 30 minutes, whereas a full replacement will take a lot longer. Similarly, a repair will be much cheaper than replacing the whole pane of glass. If you are not sure whether you need to repair or replace the auto glass, then it’s best to check with the professionals. We’re always happy to help – if you’re in the Houston area, get in touch with Hurricane Auto. The crack is longer or wider than the width of a dollar bill. The chip or crack is in the direct eyesight of the driver (be sure to assess the viewline of all of the drivers of the vehicle). The damage is at the edges of the windshield. The windshield is very old. The windshield is covered in many tiny divots. There are more than three cracks or chips in your windshield. Different companies will use different standards to determine whether the auto glass needs repairing or replacing, so it’s always best to check with a professional and get their expert advice. It is always best to get a professional auto glass replacement company to replace your windshield, because of the high safety implications. A professional approach can also help you to achieve the best cosmetic look. Prepare the new windshield – make sure it is the correct specification for the vehicle and check the glass for any blemishes, chips or cracks. Remove all of the trim and wipers from the existing windshield. Cut out the windshield by using the appropriate cutting tools. Trim the urethane (the adhesive that seals auto glass in place). Install new molding spray and make sure that the urethane is completely dry. Prepare the urethane with a specialized glass preparation solution. Set the new glass in place (it’s important to make sure that gloves are worn, as finger grease can affect the adhesive). Reinstall the wipers and the rear-view mirror. Remember to retrieve any stickers or passes you may have needed on your old windshield in order to swap them over to your new windshield. The team at Hurricane Auto will replace your windshield with friendly and efficient service. When it comes to the glass in your car, it is not just the windshield that you may need to replace – side or rear windows may also need replacing. Most side and rear windows are made from tempered glass, a kind of glass that is different from the laminated glass used on the windshield. Tempered glass (also known as safety glass) is designed to crumble into chunks rather than shatter into sharp shards that could injure and cut passengers. This means that if your car side or rear windows are damaged it is likely that most of the window will crumble and will need to be completely replaced. If you need to undertake a car window replacement or truck glass replacement then it is best to speak to a auto glass replacement professional who will be able to acquire the right glass for your vehicle model and replace the auto glass safely. When considering your auto glass replacement needs in Houston, remember that Hurricane Auto (and all other reputable retailers) will not just repair and replace windshields. We will also replace side and rear glass, as well as sunroof glass. When you need to replace your auto glass you should consider the brand and style that you are going to use for your vehicle. This includes choosing the right brand for your needs as well as features such as choosing a window tint for your next purchase. 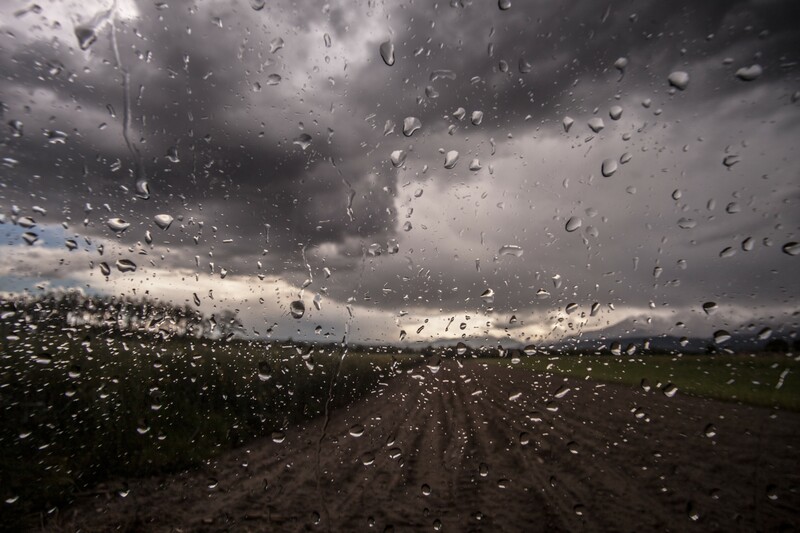 Worried about your auto electronics, such as your back glass with power window sliders? Don’t worry, your local auto glass specialist in Houston will be able to replace this glass and ensure your power window sliders will still work as normal. You see the world through your windshield – the glass should be top quality and in good condition. There are many different brands of auto glass, that you can use to replace the glass on your vehicle. Each brand will vary slightly in regards to what they offer, and of course, they will vary in price. It’s best to speak to a professional to discuss the best option for you and your car or truck, and to find a solution that works within your budget. Pilkington is a useful brand to look into, as they produce custom glass to suit a wide array of customers, and their glass options serve over 2000 makes and models. All of their glass is of Original Equipment Manufacture (OEM) quality. PGW is another leading supplier of auto glass that manufactures their product with original equipment quality inspections. They ensure their glass is of the same safety standard and the same aesthetic appearance of the original components of your car or truck. Some of the other big auto glass manufacturers are PPG Glass, Carlex, MOPAR and Carlite. Your local auto glass replacement specialist in Houston will be able to talk you through the many different brands on offer, and help you choose the auto glass that is best for you – and your budget. What Can Your Retailer Offer? Whether there is a clear reason to replace your car or truck windows and glass, or whether you’re unsure about whether your car or truck is damaged in the first place, it’s best to ask the friendly professionals at your local retailer. We’re here to help at Hurricane Auto. Your local retailer will be able to advise you on the best course of action for your vehicle and if it needs work they’ll be able to complete this for you, whether this is windshield, sunroof or back glass replacement, or simply a procedure to fill in resin or small chips. Glass is a vital safety feature in your car that protects you and your passengers, so if ever you have a concern about your auto glass, it’s best to check with a professional. Remember – a small chip, crack or other nick on your windshield can develop into a serious and dangerous issue in the blink of an eye – don’t risk your safety and the safety of your family. Tend to this issue as soon as you notice it – repairing and replacing your auto glass is a part of good over all vehicular maintenance – you’ll be glad you looked after the problem! Questions? Concerns? Want to know more, or simply want to share some of your own expertise? Join the conversation and leave a comment in the comment section below.